‘The essence of biology can never be grounded in biology as a science’. It is not the purpose of this essay to explore in depth what Heidegger sought to say through these words, which are connected with his thinking regarding the relation between science (and specific sciences) on the one hand, and philosophy or thinking as such on the other. Instead my purpose is to look at the social-historical and cultural context in which Heidegger’s own thinking evolved. For in the early part of the 20th century the question of what constitutes ‘biology as a science’, indeed what ‘science’ as such is, was a highly controversial one – not just scientifically, but also philosophically, culturally and politically (not least in the context of Nazism). At the heart of the controversy surrounding biology as a science was the opposition between ‘mechanistic’ theories on the one hand and ‘vitalistic’ theories on the other, together with the search for a holistic understanding of living organisms. This was something that Heidegger himself took a deep interest in, specifically naming two biologists, Hans Driesch and Jakob von Uexküll (1864-1944) whom he hailed as having accomplished, respectively: ‘two decisive steps’. “It would be foolish if we attempted to impute or ascribe philosophical inadequacy to Uexküll’s interpretations, instead of recognising that the engagement with concrete investigations like this is one of the most fruitful things that philosophy can learn from contemporary biology.” [my stress]. What “investigations” and ‘interpretations” on the part of Uexküll is Heidegger referring to here, what “fundamental significance” belongs to them “if a more radical interpretation of the organism were developed on their basis”, and in what did they perhaps allow Heidegger himself to “learn from contemporary biology”? These are important questions, not only because Uexküll’s biology was in itself a most “radical interpretation of the organism” but also may have been the very inspiration and foundation of Heidegger’s own most central philosophical notion: ‘Being in the World’. On a more general level then, what we humans perceive as ‘the’ environment through our own species-specific sense organs is simply not the same environment as perceived by other species. Similarly, our perception of other species within that environment is wholly different from that of those other species themselves. What we perceive and conceive as ‘a shark’- in contrast to other oceanic life forms – bears no relation to the way a shark itself, with its capacity for electrical sensing or ‘electroception’, perceives the shape and form of other sharks – or that of any other oceanic life forms. The ‘environing world’ or ‘environment’ as subjectively perceived through the eye of a fly is in no way comparable in form and nature – either spatially or temporally – to the world as perceived by the human eye. Uexküll used the image of a ‘soap bubble’ as a metaphor for the unique ‘environing world’ or Umwelt perceived by each species of organism. Since each organism dwells in its own unique environing world or ‘environment’ no organism can no way be thought of as separate from its perceptual environment. Thus for human beings to speak of ‘the’ environment’ is to privilege our own specifically human mode of perception over that of all other species – despite the fact that many of these other species have organs of perception far more differentiated than or quite different to our own. For just as we have no capacity to perceive the electrical environment of a shark, the sonar environment of a bat or the vibrational environment of a snake, so we also have no way of perceiving the visual environment of a fly or the ‘scent environment’ of a dog – its sense of smell being so much more differentiated than our own. The radical philosophical implications of Uexküll’s biology did not pass him by, constituting as they did a type of ‘Copernican Revolution’. And he clearly shares with Heidegger a distrust of all abstract mathematical notions of space divorced from the spatial field or horizon – the ‘soap bubble’ of our concrete subjective experiencing. Unlike Heidegger, on the other hand, he remained attached to the notion that the organism’s sense organs ‘project’ a picture of its environing world outside themselves, rather than perception being, as Heidegger saw it, a matter of being directly immediately there where things themselves are. This brings us to a critical epistemological paradox still ignored in all neurophysiological accounts of perception. For whilst these begin by assuming a world of pre-given objects ‘out there’ in physical space which our sense organs merely register and perceive, such theories then totally cut the ground from under their own feet by being forced to acknowledge that this pre-given world of objects – the supposed source of all sense data – is in fact nothing but a world picture projected outwards by the brain, and that all the things in it are nothing but phantasms of the brain. The paradox is clear. How can the sense organs register sense data from objects in the first place if those objects are, in the last analysis, and according to neurophysiological theory itself, nothing but projections of the brain? On the other hand however, it seems from the same citation that he has a clear inkling of a solution to this problem. This is indicated by his referring to the space in which the sounds, smells etc. are transposed as “the subjective space of the animal.” For by taking as its very starting point the recognition that space is in itself essentially subjective – nothing more or less than a spatial field of awareness or subjectivity itself – and by recognising the primacy of different sensory spaces or fields of awareness – visual, auditory, olfactory etc. – subjective biology has no need to reduce them to a product or projection of localised ‘sense organs’, and nor does it need to posit any process of projection or transposition of sensory images ‘out of the body’ and ‘into’ subjective space. On the contrary it recognises sense organs such as the eye itself as perceptual phenomenon in themselves – manifesting from and within a visual space or field of awareness, and in this sense no different in principle from any other phenomena appearing within this field. This brings us to a further paradox that remains unacknowledged and unaddressed in neurophysiological accounts of perception. This is the paradox that what science claims to know about the functioning of our sense organs and brain is itself derived from an external perception of those sense organs. What we know of or about the human eye for example, is shaped by the very way we perceive it through the human eye. Our knowledge of perceptual processes is therefore not only intrinsically circular but also necessarily shaped by our own species-specific mode of perception – not only of the world but of the very sense organs with which we are supposed to perceive it. What ‘scientific’ anatomy and physiology continues to blindly ignore is the simple reality that what we perceive as having the anatomical form and function of an eye or sense organ of any type – just as what we perceive of as having the form of a brain, nerve, cell or internal organ of any sort – is itself a product of our own species-specific mode of sense perception. The simple but unasked question implicit in this paradox is therefore this: if, as Uexküll recognised, what we perceive as a ‘beech tree’ – not our capacity to recognise it ‘as’ a beech tree but its actually perceived form and features – is a product of our own species-specific mode of human perception, then surely the same can be said of the way in which we perceive the bodily form and features of human beings – including both the human brains and the very organs of sense (the human eye for example) with which we perceive? Within this ‘epistemological’ question lies an even more fundamental ‘ontological’ one. The question is what exactly it is that constitutes ‘a shark’ or ‘human being’, an ‘eye’ or ‘brain’ in the first place – given that the very way we ‘objectively’ perceive both different life forms and their organs is, again, something shaped by our species-specific mode of perception? In answer to this question and from the perspective of a thoroughgoing subjective biology I believe we can take Uexküll’s insights themselves a “decisive step” further. We can do so by recognising that what we perceive externally or ‘exteroceptively’ as anatomical forms of specific ‘organisms’ and their sense ‘organs’ are in essence not objective biological forms of ‘living matter’ but rather organising field-patterns of subjectivity or awareness as such. Every such organising field-pattern of awareness in turn shapes its own unique environing world or ‘Umwelt’ – understood as an organised or patterned field of awareness. Uexküll had compared the environing worlds inhabited by different species and their members to ‘soap bubbles’. The example of human perception of a beech tree (“This is not a beech tree but rather my beach tree”) could be taken as implying a type of solipsism of individual subjective worlds or soap bubbles – one which denies reality to the beech tree as such, or treats it, in Kantian fashion, as an unknowable ‘thing in itself’. This objection can be overcome through the recognition that what each life form perceives as the same or another life form in the ‘soap bubble’ of its environing world can be understood simply as its own way of giving perceptual form – through its own patterned field of awareness – to the specific field-pattern of awareness that essentially is that other life form, whether a member of its own species or not. Diagram 1 illustrates the way in which individual members of species perceive one another within the respective ‘soap bubbles’ of their environing world. The two larger circles represent the environing worlds or ‘field patterns of awareness’ of two life forms, similar or different. The smaller circles within the larger ones represent how, in a manner shaped by the patterned field of awareness that is the ‘soap bubble’ of its environing world, each life form perceives or gives a specific perceptual form to the specific organising field-pattern of awareness that each and every life-form (indeed every perceived phenomenon) essentially is. The diagram, in other words, shows in principle the dialectical interrelation between the environing or ‘soap bubbles’ of two or more life forms – the perceptual form that each takes within the environing world of the other. A big question remains to be answered however. This is the question of what constitutes the surrounding medium – that within which the seemingly separate ‘soap bubbles’ or environing worlds of different life forms exist. Here we can call upon the analogy – actually no mere analogy – of an ocean. Every fish or oceanic life form perceives not only other life forms but also the ocean itself in its own way – a way shaped by its own defining field-pattern of awareness. What then constitutes the ocean as such – in contrast to the way it is perceived or experienced by the different life-forms within it? Subjective biology argues that the ocean as such is essentially nothing more or less than a larger field of awareness from and within which every life form – understood as a specific field-pattern of awareness – takes shape. As an ocean of awareness, the ocean as such is a field of countless potential field-patterns of awareness, each and all of which then take on for one another – and in very different ways – the actual perceptual shape or patterning of a specific oceanic life-form or phenomenon. Subjective biology then, is not a reduction of different life-forms to separable ‘subjects’, each inhabiting their own separate subjective world. For just as the ocean is the source of all the life-forms that inhabit it, so also, understood as an ocean of awareness, is it the source of all the perceptual field patterns and patterned fields of awareness that define these life forms. Each life form is not just related to all others through the way in which they ‘externally’ manifest to one another within the soap bubbles of their own unique perceptual worlds. They are also ‘inwardly’ related to one another by virtue of sharing an inner relation to the larger oceanic field of awareness that is their common source. Uexküll himself referred to basic patterns of life that he called ‘blueprints’ (Baupläne). Similarly, the contemporary biologist Rupert Sheldrake speaks of them as ‘morphic’ or ‘morphogenetic fields’ and has coined the term ‘morphic resonance’ to describe the new principle of life they offer us insight into. My understanding of this principle is that the perceived biological form (morphe) of any organism is stabilised by resonance with those invisible ‘blueprints’ or patterns of the sort that Sheldrake calls ‘morphic fields’. The difference between subjective biology and the biology of both Uexküll and Sheldrake is that I understand these formative fields, patterns or ‘blueprints’ subjectively, i.e., not as hypothetical forces incapable of experimental measurement and inaccessible to direct awareness – but rather as organising field patterns and patterned fields of awareness as such. Everything from supposedly ‘insentient’ atoms and molecules to single cells and multi-cellular organism – is understood in subjective biology as the expression of field patterns and field qualities of atomic, molecular, cellular and organic awareness. This awareness however is pre-reflective and pre-egoic – it is not the property of atomic, molecular or cellular egos or subjects. And yet it is an awareness tuned and toned in a specific way, defined by a specific tonality or feeling tone. That is why Uexküll himself spoke of cells and organisms, not as possessing a human-type ego or ‘I’ but rather a unique Ich-ton or ‘I-tone’. The organising field patterns of awareness that constitute the essence of any organism (a word that has its root in the Greek organon – a musical instrument) can in this sense be likened to organising musical patterns of tones, each with their own specific tonal qualities. Vocal or music tones have felt tonal qualities of warmth or coolness, hardness or softness, heaviness or lightness, darkness or brightness, flatness or sharpness, angularity or roundness, dullness or clarity, and mutual harmony and disharmony – resonance or dissonance. Subjective biology understands the experience of dis-ease musically – as a sensing of patterns and qualities of feeling tone. It is tonalities of cellular and organic awareness – and their sensed and sensual qualities such as warmth and coolness of feeling, brightness and darkness of feeling etc. – that then find expression as specific sensations such as heat or coldness, light and darkness. Similarly, it is the organism’s immediate senses of muddied, dissonant, disharmonious or disordered ‘patterns’ of feeling tone that find expression as medical ‘disorders’, whether ‘mental’ or ‘physical’. This is because felt tonal qualities and patterns of cellular awareness find expression not only in recognisable qualities and patterns of voice tone, but also in cellular and muscular ‘tonus’ or skin and organ ‘tone’. Of course, sensed qualities of vocal tone are themselves an expression of the muscular tonus of the vocal organs, which is why we sense and speak of someone ‘sounding’ well or unwell – or, seeing the pallor of their skin or sensing a lack of tonus in their muscles and posture, sense and speak of them as ‘looking’ unwell. What Sheldrake calls ‘morphic resonance’ therefore, can be understood in its essence as a relation of resonance or dissonance between form and feeling tone – understanding ‘feeling tone’ as felt tonal qualities and patterns of organismic awareness. The enormous and still untapped healing power of music lies in the way it can give resonant form or expression to states of dis-ease – for example to dissonant, dull or ‘painfully’ sharp tones of feeling awareness – and in this way remove the need for their expression in organic, bodily sensations and disorders. The term ‘biosemiotic’ derives from the Greek bios (life) and semeion (mark or sign). It was first coined by F.S. Rothschild, who proposed that subjective experiencing, far from being an inexplicable product or property of observable neurological activity. structures, functions and processes was but a living biological sign or symbol of those processes. Today ‘biosemiotics’ is a generic term for a multiplicity of theories and models all of which emphasise the communicative or sign character of all biological processes and interactions, both in contrast to – or in a way often confused with – molecular and genetic reductionism. For although they may makes use of linguistic or ‘semiotic’ terms such as ‘expression’, ‘marker’, ‘signalling’, ‘message’, ‘messenger’, ‘recognition’ etc. many such theories use them as mere metaphors for wholly non-subjective and purely mechanistic-cybernetic processes of molecular ‘information’ exchange, regarding them – in contrast to soma-semiotics – as biological ‘sign’ processes devoid of any dimension of subjectively sensed meaning or ‘sense’. The German word ‘Sinn’, like the English word ‘sense’, has a double sense. On the one hand it serves as a synonym for meaning. On the other hand it is used to speak of specific perceptual ‘senses’ and ‘sense organs’. Uexküll was among the first to unite these two senses of the words ‘Sinn’ and ‘sense’, and that in a manner most closely akin to Heidegger. Heidegger himself speaks in the Zollikon Seminars of human existing or Da-sein as “a capacity to receive-perceive the significance of the things that are given to it and that address it…” [my stress] adding that as such “it is not something which can be objectified at all under any circumstances.” And the reason that Uexküll is regarded today as the pioneer of what is termed ‘biosemiotics’ – the understanding of life as a language or sign system – is the fact that he did not separate the physiological functioning of the sense organs from the significance of whatever was sensed by the organism – but instead recognised the essentially ‘semiotic’ or sign-character of every sensory cue (Merkmal) that an organism was open to “receive-perceive”. Heidegger is also renowned for having emphasised the active and practical character of our “being-in-the-world” and of our relation to the things in it. Thus a hammer is not ‘a hammer’ by virtue simply of being some ‘actual’ object that is “present to hand” and just happens to be called ‘a hammer’. Instead what makes a hammer ‘a hammer’ is that it is “ready to hand” – no mere actually present object but something that can potentially be grasped, picked up and practically used in the particular way that first defines it as a hammer. The sign-character of the hammer is no mere property of its perceptual form but has to do with the practical significance of that form as a tool or instrument for actively changing the environment of the user. As for Uexküll, the sign character of specific sensory cues or Merkmale for an organism lay in the way they were enacted through the activation of specific motor responses or Wirkmale – responses that in turn altered the environment of the organism, in this way also opening it to fresh sensory cues and also triggering new motor responses – thus resulting in a further “Functional Circle” of Merkmale and Wirkmale, of sensory cues or signs from the sensory environment and motor responses that in turn bring new sensory cues to the fore. Thus a tick’s initial olfactory sense of the smell of mammalian sweat has a sign character with immediate meaning or sense, a sense that is immediately enacted by dropping down onto the mammal. This brings the tick into tactile contact with the mammal’s hair – thus foregrounding a different type of sensory sign or cue in its Umwelt. The sensed significance of this new tactile sign in is enacted by the way the hair guides the tick to the heat it senses from the mammal’s skin – which in turn acts as a sensed sign for the tick to begin sucking its blood. From the world of the tick to that of human beings seems like a large step, and yet the clinical encounter of patient and physician reveals the same ‘functional’ or ‘bio-semiotic’ cycle’ that Uexküll identified in the world of animals with only one significant difference. To begin with the human being becomes aware of something significant in its environing world (a particular life problem for example) that evokes a felt bodily sense of dis-ease. Alternatively – and unlike the animal – the human being selectively and consciously assigns a negative significance to something in its Umwelt, and/or enacts its bodily sense of dis-ease through bodying it forth and giving it the sign character of a ‘symptom’. Going to the doctor is the way in which the patient then enacts either the purely sensed or already suspected significance or ‘sign’ character of this symptom itself. The patient’s aim is to either determine or seek confirmation of the sign character of this symptom in a purely biomedical sense i.e., one which allows the physician to literally make sense of that symptoms by interpreting it as a potential diagnostic sign of a recognised disease. The physician in turn responds to the patient’s enactment of the sensed significance of their dis-ease by indeed seeking to attach some diagnostic sign character to it. 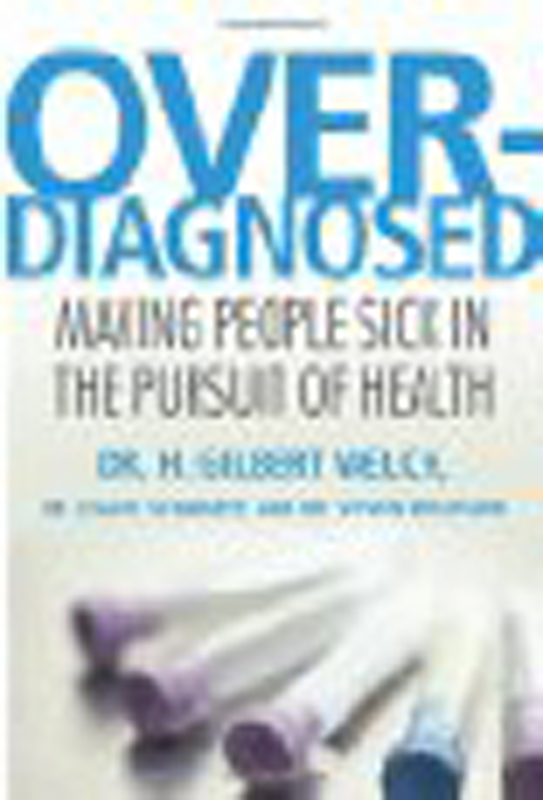 This however, only completes and reinforces the three-stage semiotic cycle which leads the patient to the doctor in the first place, i.e., (1) experiencing a sense of dis-ease evoked within their life world as a whole (2) embodying this sensed dis-ease in the form of a specific bodily symptom or enacting it through some form of symptomatic behaviour, and (3) presenting or representing the symptom to a physician as a potential diagnostic sign of some purely bodily and/or behavioural disease wholly unconnected with the patient’s life world as a whole. 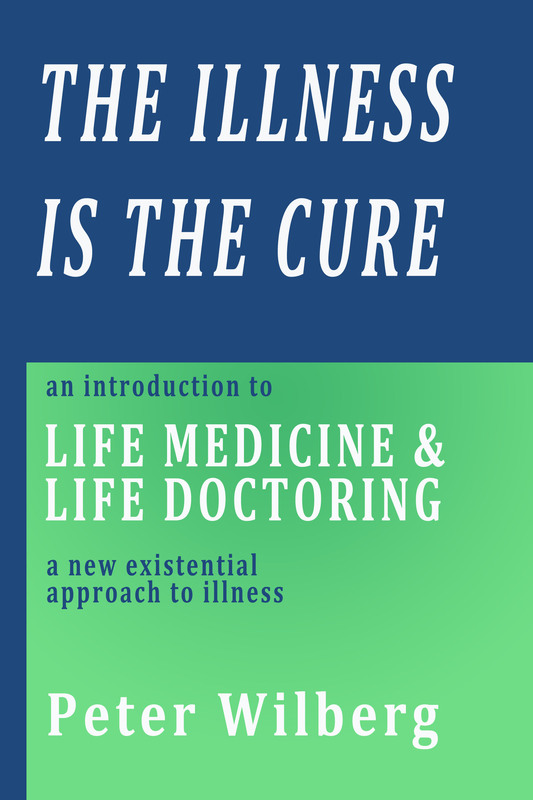 In this way the medically signified sense that may be attached to a patient’s symptoms is superimposed on the life significance of the dis-ease they express. These purely biomedically signified senses or meanings of the patient’s life dis-ease are then mutually enacted though further stages in the medicalisation of the patient’s life dis-ease, for example through multiple forms of medical testing and treatment – turning the human being’s individual life world and dis-ease into a mere ‘case’ of a generic ‘disease’. In the German language the word for life (Leben) is part of a family of words which include Leib (translated as the ‘lived body’) and Erleben (to experience). The ‘life-world’ or Lebenswelt of the organism as Leib is first and foremost an Erlebenswelt, an ‘experiential world’, a world of subjective experiencing which is in no way bounded by its body as perceived from without (something that is anyway determined by the modes of perception of the species perceiving it) but is ultimately identical with its entire Umwelt or ‘environing world’. Conversely, the organism as Leib or lived body itself is not only the body as subjectively experienced but also and essentially an experiencing body. Life, as vitality – as liveliness or Lebendigkeit – is essentially a liveliness and intensity of experiencing or Erleben as such, one which makes no distinction between pleasure and pain. Life recognises no opposition or duality between ‘pleasure’ and ‘pain’. Illness – a tumour for example – is just as much an expression of the life of the organism as what is ordinarily defined as ‘health’ or as a healthy ‘cell’. 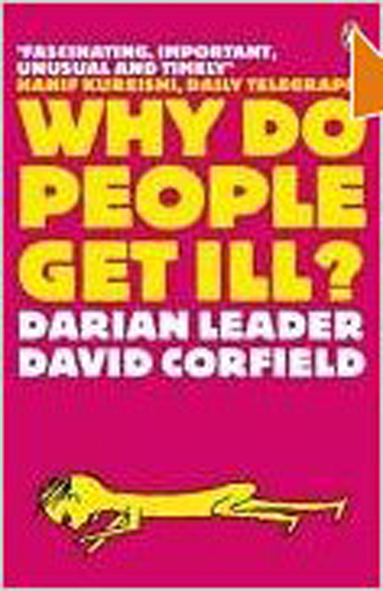 The idea of medicine as something aimed principally at the preservation of ‘life’ is Darwinistic through and through, reflecting a basic concept of life itself as ruled, if not tautologically defined, by a principle of self-preservation – whether the self-preservation of an organism, species or a ‘selfish gene’. Yet if the life (Leben) of the organism is something that is constantly and dynamically unfolding and transforming as a world of experiencing (Er-leben) it is no ‘body’, ‘thing’ or ‘self’ in need of preservation in the first place. ‘Life’ as such is nothing that can be threatened destroyed – only the form that it takes at any given time. Yet such change of form or trans-formation is also something that belongs to the very essence of life itself. Life is the emergence, appearance or actualisation within awareness of new forms, shapes or patterns of awareness. Death is the dis-appearance or ‘de-mergence’ of old forms. Thus life and death too, are not opposites. And of course the entire ‘world of nature’ reveals nothing if not the vital place of death in natural life, just as without the constant death of cells, the life of the body itself would not be sustained. Uexküll dared take even these insights a decisive step further, arguing that the ‘blueprints’ of life – equivalent to Sheldrake’s ‘morphic fields’ – survived the death of their manifest biological forms. That he formulated this belief with the words “the immortality of the soul … is absolutely certain” indicated also an acknowledgement of the subjective or ‘soul’ character of these blueprints – something that subjective biology reinforces by understanding them precisely as organising field-patterns of awareness. And like Pythagoras and Goethe, Uexküll also recognised the musical character of any organism as an instrument or organon emerging from and orchestrated by a larger cosmic and worldly symphony of life – one which subjective biology understands not as a static ‘score’ or ‘blueprint’, but rather as an ever-unfolding and ever-transforming field of ‘inner sounds’ – these being what give shape and pattern to feeling tones. The human body too, is not just capable of hearing and uttering sounds. Rather it is itself uttered and sounded into manifestation from a world of inner sounds – of tonal shapes and field patterns of awareness. Thus the composer of a symphony or song does not simply produce music from his head and then merely write it down with his body to have it performed – sounded – by players and their instruments. Instead his entire bodily organism is itself and already an embodiment of ‘the music of the soul’ – giving individualised expression to that ever-unfolding and transforming symphony of awareness or subjectivity that is life itself. ‘Subjective Biology’ then, is a recognition of life as a living, organic ‘symphony’ of subjectivity or awareness, composed of inner sounds and feeling tones – a symphony that does not have its source in the human body or mind but is the innermost source of both.